Penny, a young Palomino, lives in an idyllic setting surrounded by snow-capped mountains. She loves to chase butterflies and play with the dog which shares her home on Mr. Dollarhide's ranch. One day she overhears Mr. Dollarhide visiting on the phone about getting new shoes for her. But the young quarter horse cannot fathom what sort of shoes she could possibly wear. Penny's imagination goes wild as she envisions all the types of shoes Mr. Dollarhide might have in mind for her. Author Gary Scogin's fanciful depiction of a horse and her new shoes is an absolute delight. Young boys and girls will be enraptured by this whimsical tale which is beautifully illustrated and eloquently penned. 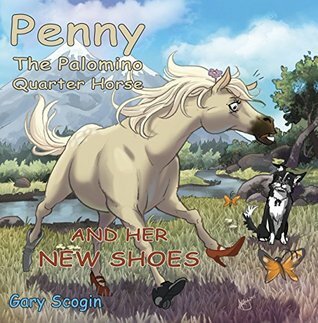 Penny the Palomino Quarter Horse and Her New Shoes is recommended for home and school libraries. 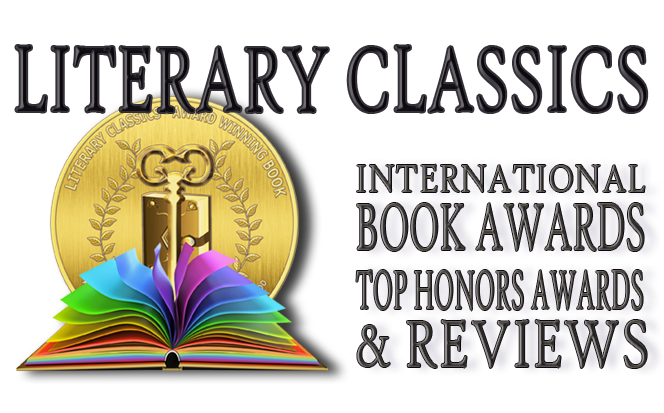 Penny the Palomino Quarter Horse and Her New Shoes , written by Gary Scogin and illustrated by Alex Ray, has been selected to receive the Children's Literary Classics Seal of Approval. Could you please tell me who the illustrator is for this book? The illustrations capture the story and makes it a delight to read. Their name is not mentioned and should be given credit. The illustrations capture the story and make it a delight to read. The illustrator's name is not mentioned and should be given credit for the beautiful artwork. Wonderful story!! Who is the excellent illustrator?? Please forgive the omission. The illustrator is Alex Ray.